Watch the full appearances by clicking the images below. Last month, China’s President Xi Jinping announced that his country would invest another $60 billion across the African continent. Africa is now the third-largest destination for Chinese investment, trailing Asia and Europe. 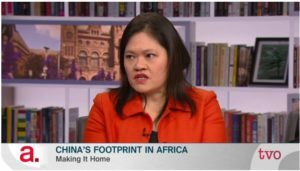 As TVO continues its “China: Here and Now” documentary series, The Agenda examines the reasons for the investment and what it looks like on the ground. China began its one-child policy in 1979 as a way to control population growth, the result of which is a generation of only children. Now, China is abandoning this strategy. 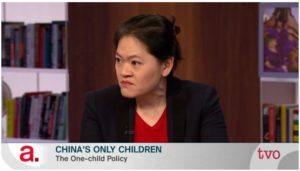 As TVO’s China: Here and Now documentary series continues tonight at 9 p.m. with “Only Me Generation,” The Agenda discusses how Chinese society has been transformed by the policy, and what will happen now that couples are permitted more than one child.